We’ve loved and lost – but is there a glimmer of new hope now? I have loved Burgundy wines since I was knee-high to a jeroboam. They were the wines of my first bloom of vinous exploration (once I got past my Boone’s Farm phase). Just as you remember your first love most vividly, you remember your first great wines. The first was a lovely lady named Monthélie, vintage 1971. She was a sensuous young thing, but no weakling. She possessed grace and refinement. From her it was on to a procession of other Burgundian charmers, especially Gevrey-Chambertin. In musical terms, Bordeaux was Bach – all stately and mannered – but Burgundy was Beethoven – lively and tempestuous. At that time (1970s) Burgundies were still comparatively cheap for a then-young and modestly-paid reporter. I’d splurge $10 for a Chambertin as I rummaged around remainder bins in local wine store. But sadly, as time went on I could no longer afford Madame Bourgogne’s increasingly expensive taste and we drifted apart. Prices for good – not to mention great – Burgundies started rising and kept ascending to heights far above my thin wallet. 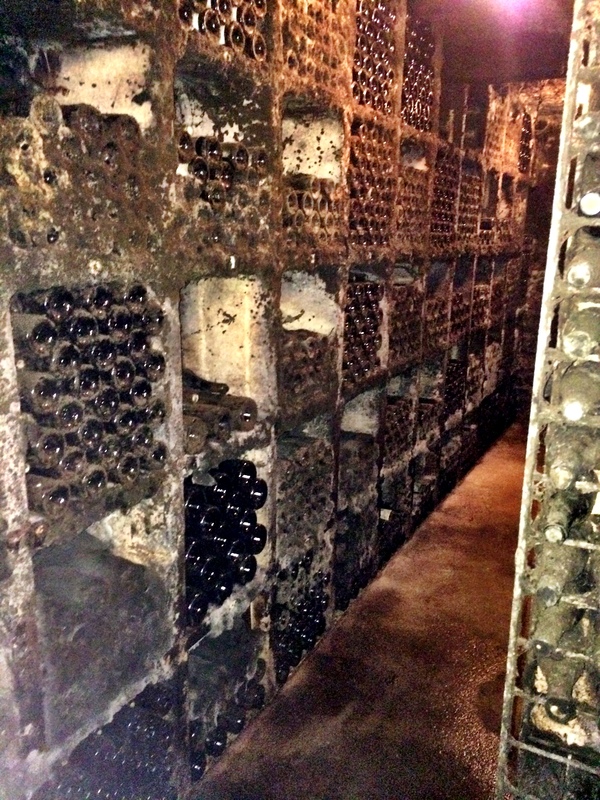 Now, according to Wine-Searcher.com, more than three-quarters of the world’s 50 most expensive wines are from Burgundy. Eight of the top 10 are Burgundies, with Henri Jayer Richebourg Grand Cru at the pinnacle at an average price (across several vintages) of $15,000 a bottle. Romanée-Conti, probably the most famous, surprisingly comes in second at $13,000. Many regions have good wines from less famous names that are nevertheless good quality. However, in my past experience Burgundies that could be obtained at a reasonable prices – say, $20-$30 – were all too often disappointingly thin, vapid, overly acetic versions of their more aristocratic cousins. Is it any wonder that spurned Burgundy lovers found themselves turning to Oregon, California, and New Zealand for alternative pinot noir? This year, on a recent visit to Burgundy, I encountered a slight shift, a glimmer of hope on my personal wine horizon. Perhaps the Burgundians had finally realized they are pricing themselves out of the market for wine aficionados like me who have retired, broken-hearted, from Burgundy wines? In fact, I found that Burgundy has launched a charm offensive designed to show that not only do their wines remain the finest expressions of the vintners’ art, but that they are also not the exclusive domain(es) of people with deep palates and even deeper wallets. So the Bourgogne Wine Board (BIVB) brought a few of us writers and sommeliers over there in November for the annual Hospices de Beaune high-stakes charity auction. They set up meetings and tastings during the visit according to one’s interest. For me, that meant trying to recapture my vinous youth. Little did I know I would find at least some remnants of it in an overlooked corner of this fabled region. The time machine portal opened the very first night, a cool but nonetheless comfortable evening. The BIVB had arranged for an American colleague and myself to dine at La Ciboulette in the city of Beaune – the heart of the wine region. The food at the tiny two-room restaurant is simple, local, and very, very good, the service warm and familial, and the wine list intriguing. As we mulled over which wine to have, I looked at the tables around us to see what the locals were drinking. The near unanimous wine of choice was a red Burgundy, a Maranges Premier Cru “La Fussière,” so we decided to go with that, a 2012 vintage from Domaine Roger Belland. 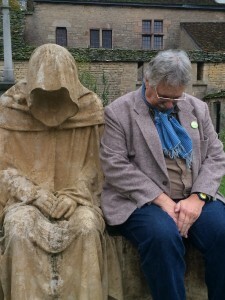 I was bowled over. This was an ocean away from so many of the vapid, overpriced, cherry bomb Burgundies that we find in too many American wine stores. It was rustic but elegant, with echoes of an oak desk strewn with dark, ripe blackberries and chestnuts. Wow, in terms of Burgundy, here, indeed, was old-time religion. The thing was, I had never heard of this appellation. I thought I knew Burgundy (although, as noted earlier, the ardor and thus attention has cooled in recent years), but Maranges was unknown to me. What was this stuff? So, with the help of the BIVB and my trusty guide Youri Lebault, I set out to (re)discover the wines of my youth. 1855 was year that Dr. Jules Lavalle laid the groundwork for the current parcel designations and cru structure used in Burgundy today. (The Oxford English dictionary describes cru as “a vineyard or group of vineyards, especially one of recognized quality.”) That was the year he published his “Plan Topographique” of the entire Cote d’Or, a detailed map of every vineyard that became the basis for the Burgundy AOC (Appellation d’origine contrôlée) structure introduced some 81 years later. Anyone who delves into the mysteries of Burgundy quickly discovers what a dense thicket it is to explore. Burgundy almost deliberately tries to be contrarian. 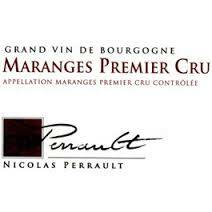 Where Bordeaux ranks Premier Cru at the top and uses Grand Cru for a secondary designation, Burgundy does the opposite. Bordeaux is about the estates, where Burgundy is about the grower. The anticlerical fervor of the French Revolution caused the largely church-held properties of Burgundy to be broken up and their lands redistributed into sometimes microparcels, whereas Bordeaux somehow managed to keep its estate structure intact. Because there are so many tiny parcels, in many cases grapes or wine are sold to négociants, who blend and/or bottle wine bought from different growers or make wines themselves. (The concept of single estate-grown or “grower wines” is comparatively new here.) This is a singular system, unique to Burgundy. Thus appellations like Vosne-Romanee, Gevrey-Chambertin, and Puligny-Montrachet can be found under many different names in the Côte de Beaune and Côte de Nuits. Above all, Burgundy is all about this type of micro-regionality. It’s about terroir – that elusive, difficult-to-define designation that evokes earth, a sense of place, geology, and, to some extent, even enological integrity. 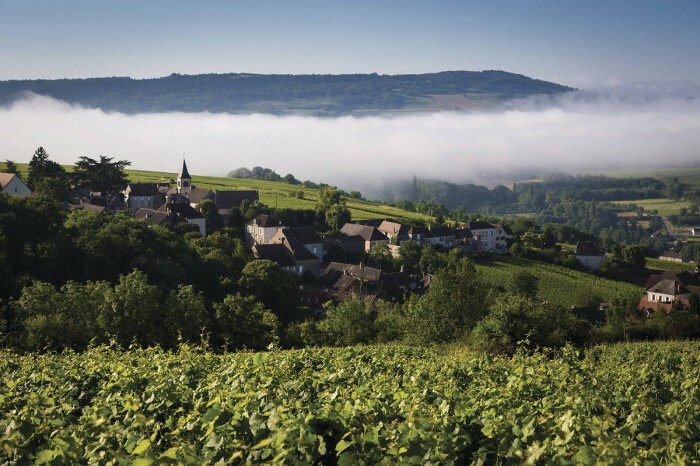 It is in Burgundy where terroir is fully realized through climat – another nebulous word that has had no official definition in Burgundian parlance, but is a loose gradation of place and thus, quality. It’s not exactly synonymous with cru, but it’s pretty close. Back to the object of my current search, wine from the small Maranges district. Apparently it is under the radar for almost everyone who doesn’t live there. Indeed, you would be hard pressed to find it in any wine shop or restaurant list in the U.S. Wine writers as respected as Clive Coates, Hugh Johnson, and Frank Prial have used terms like “forgotten” and “obscure” to describe the area. If you are a Burgundy drinker you probably have had the wines but didn’t even know it. Maranges became an AOC only in 1988, half a century after Burgundy’s main AOCs were delineated. Before that the Maranges wines were bottled and sold under the broad label of Côte de Beaune, even though the area is comprised of three villages that are technically outside the Cote d’Or and are part of the Saône-et-Loire: Dezizes-les-Maranges, Cheilly-les-Maranges and Sampigny-les-Maranges. There are some 200 hectares under cultivation. 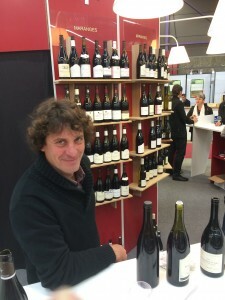 Grower and winemaker Vincent Chevrot estimates that before Maranges became an AOC, 95% of growers were selling their grapes and wines to négociants, who then bottled them as Côte de Beaune-Villages. That, he said, explains why you won’t see a lot of Maranges on shelves – at least under that appellation. The Burgundy trade offers various factors for its high prices. The area suffered a succession of somewhat questionable vintages yielding wines of highly variable quality. For example, there was hail in the vineyards in 2014 but growers say they were saved by a warm September. Stocks are low. Land is expensive and there is little room for expansion. According to the Ministry of Agriculture, this is the priciest wine land in France and prices have been rising steadily since 1996; they rose 5.3% in 2013. At the Hospices de Beaune pre-auction press conference, Christies’ Wine Consultant Anthony Hanson (Christie’s now conducts the auction) rejected my suggestion that Burgundy wines are seen as the province of well-heeled. But, speaking right after him, Frederic Drouhin, president of the Burgundian négociant association, offered a different assessment, warning that customers in many markets are getting turned off. 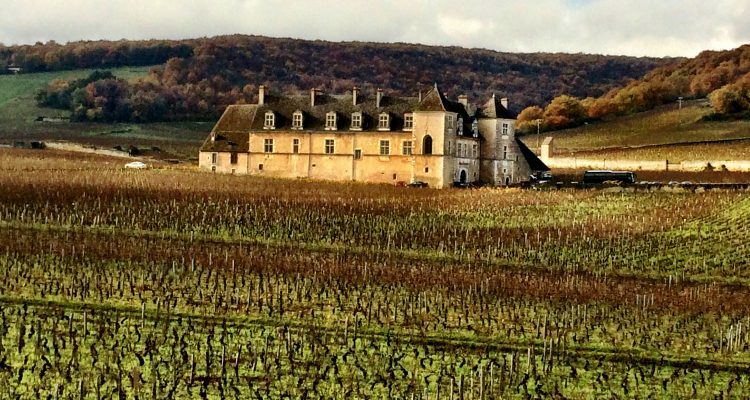 He said that higher prices at the prestigious auction would be a “poor signal to send to markets.” Nevertheless, the charity auction of the 2014 vintage – seen in many quarters as a benchmark for Burgundy prices – fetched a record €8.08 million, or about $10 million (USD), the highest since the auction began in 1859. A barrel (about 280 bottles) of Clos de la Roche – Cuvée Cyrot-Chaudron also set a record for any barrel sold at the auction, going for €74,900, or about $93,000. But pre- and post-auction I kept going back to the wines of the Maranges. 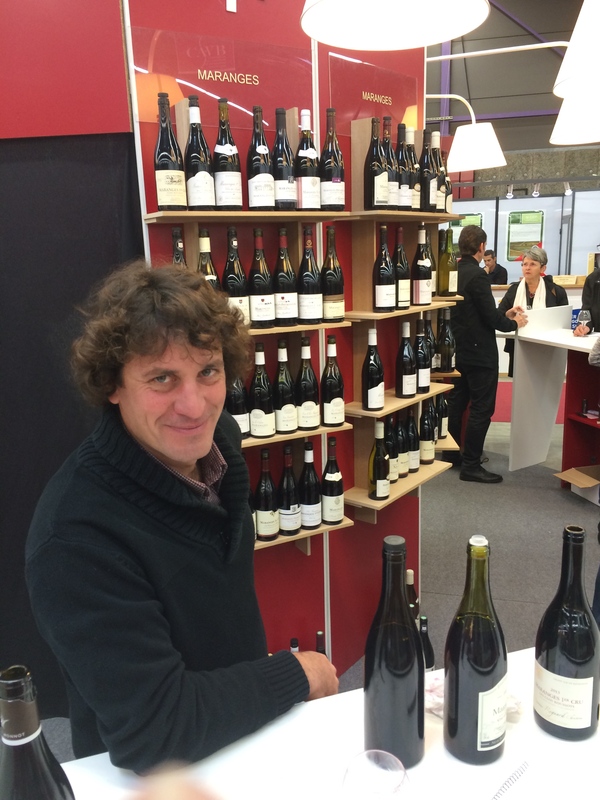 Its wines seemed bigger than those of neighboring Santenay, with more depth and character. The Maranges wines carry a comparatively reasonable price tag. Vincent Chevrot says most come in at €10-20, although the Premier Crus (there are seven in Maranges; no Grand Cru) run higher. So expect about $25-40 a bottle in the U.S – that is, if you can find them. Maranges is still elusive. Search in your local shop or online, and you will find most don’t carry a single Maranges wine. Maybe if wine lovers make enough noise, more Maranges wines can make it to our shores so that this well-kept secret of Burgundy can be shared with an appreciative and thirsty audience. And if you find them, will you let me know? Lovely nose of earth and cloves. Long blackberry fruit, lingering finish. An excellent wine from what was a very tough year in Burgundy. Nicolas Perrault offered some stunning wines (including some surprisingly artful Santenays), and this was a high point. My notes say it “made me smile,” and it did. Seemed a bit short at first, but it was like a chili pepper – just when you think there is nothing there, it surprises you. Rich with layers of chocolate and leather. Wow! Did not expect to like a natal wine so much. Bright color, surprising notes of raspberry and coffee already showing on the nose. Still tannic, obviously, but shows great promise, IMHO. Will probably drink young. My deepest thanks to the Bureau Interprofessional des Vins des Bourgogne (BIVB) for a most enlightening, pleasurable, and memorable trip to Burgundy. They could not have been more accommodating and helpful, particularly press officer Cécile Mathiaud. Also a very special thanks to Jeanne-Marie de Champs, négociant of Domaines et Saveurs Collection, an extraordinary woman who opened up both her home and a procession of fine bottles as she shared her expertise over a home-cooked family dinner. Local dishes, great wine (try the Maranges!) and friendly service. Another plus is that it is open on Sunday. A restaurant in Livernois in a 1750 farmhouse converted into a Relais and Chateau hotel. Superb food in stunning surroundings. Perhaps my favorite restaurant of the trip. I was greeted in this tiny place with wood floors by a couple of guys looking like they worked at Trader Joe’s, wearing jeans and Hawaiian shirts. Exquisite food, freshest ingredients, simply prepared. A confit of neck of lamb on a bed of fresh vegetables, paired with a 2011 Savigny-les-Beaune from Domaine Chandon de Brialles, absolutely blew me away.